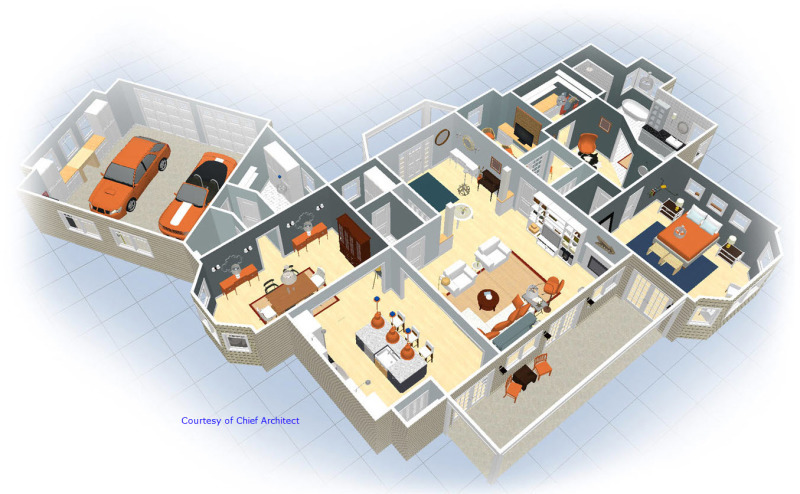 The Room Planner application is a Chief Architect program that makes it easy to create realistic floor plans and 3D models in minutes for a room or a home design project using your IPad, IPhone, or an Android device. You can download the Room Planner app. from www.roomplannersoftware.com/room-planner/. You can also download it from the Apple App Store or Goggle Play. 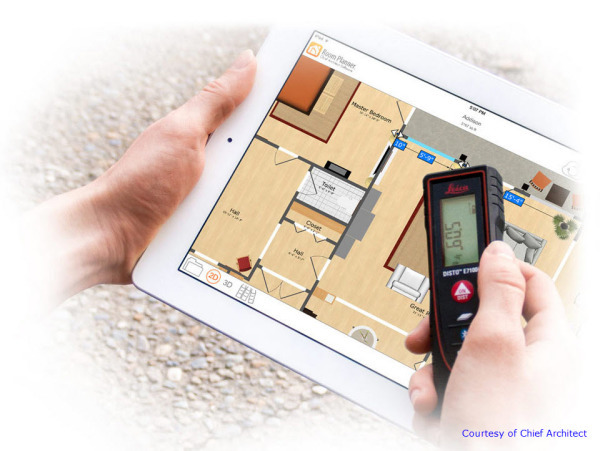 Whether you are creating a single room or an entire house, the Room Planner software app makes it easy using your iOS or Android device. You can design in 2D or 3D – place furniture, add cabinets, paint walls, or just visualize your project. An extensive collection of content is available so styles and finishes can be visualized. Lay out your rooms with drag and drop. Choose room shapes: Square, L-Shaped, T-Shaped or draw free-form rooms with the Room Sketch tool. In this tip tutorial we are going to use the Chief Architect Room Planner app to draw an as-built plan. The as-built conditions used for the tutorial are designed to guide you in your own present or future as-built situation. If you are not actually taking as-built measurements in the field, just follow along in the tutorial to learn the process. We will then upload the plan to the cloud and import it into the Chief Architect desktop software. You will also learn how to use the Room Planner tools, and commands.